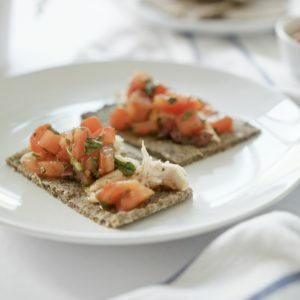 This super simple Tomato & Olive Bruschetta recipe is perfect for snacking on or for entertaining. Made with only 5 ingredients, it takes no time at all to whip up and it pairs deliciously with your favourite cracker. 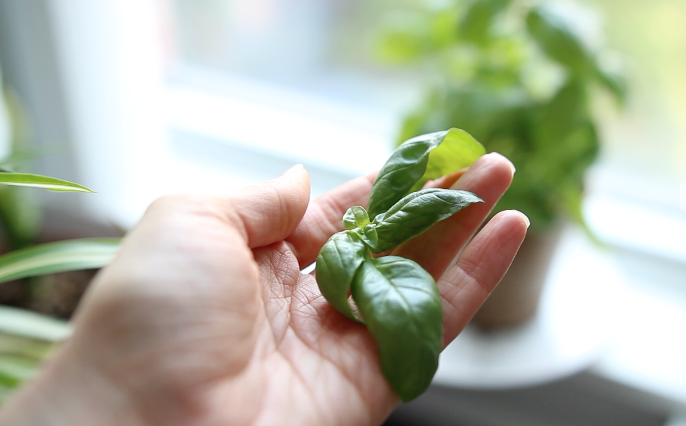 I bought myself a small organic basil plant the other day so I can finally try growing my own herbs at home! I’m super excited about it, especially after I learned that they “love to be pruned”, and they grow fuller and bushier the more you snip off their leaves. You know what that means, though? ALL THE BASIL THINGS. 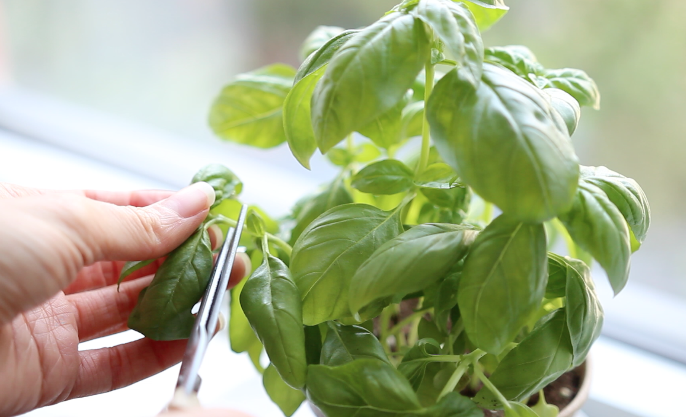 Fresh basil is also a classic in bruschetta. 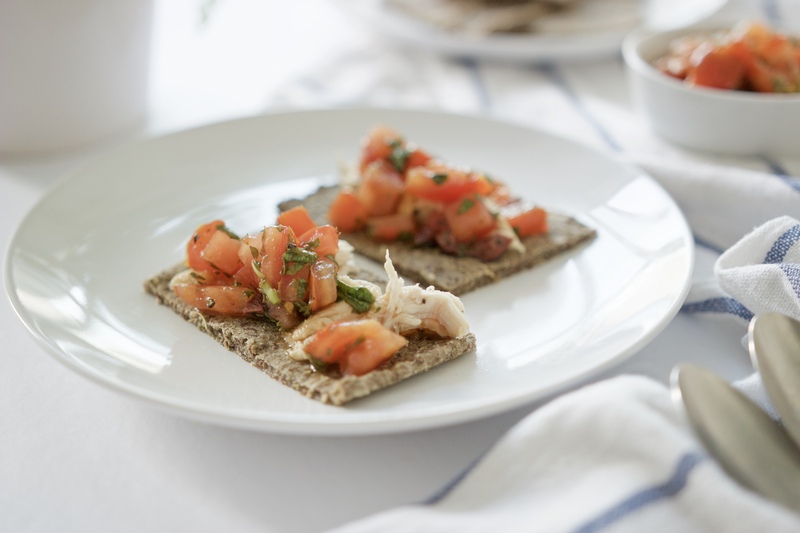 Bruschetta has always been one of those things for me that I’ve loved when it’s served at an event or party, but have never really taken the time to make myself for my own snacking enjoyment. But it’s so incredibly easy to make! I’m talking 5 ingredients: tomato, basil, balsamic vinegar, olive oil, and to jazz things up, some sliced kalamata olives. 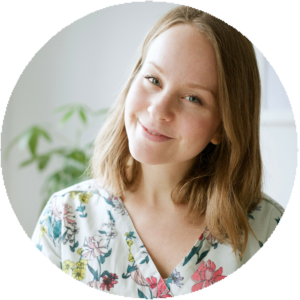 Top your favourite cracker, rice cake, or baguette with this bruschetta, or make up a batch of my Rosemary Buckwheat Flatbreads – they’re gluten-free, only 5 ingredients, and so delicious. 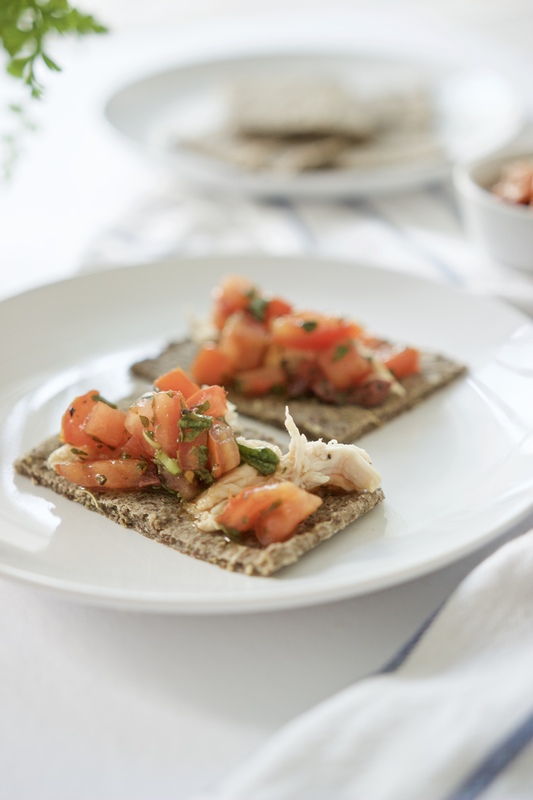 You can also top roasted chicken breast with this bruschetta, or mix it into a salad. A simple bruschetta with fresh tomatoes and basil, balsamic vinegar, and savoury kalamata olives. Chop up all fresh ingredients and add to bowl. Add in remaining olive oil, balsamic vinegar, salt and pepper and stir well until thoroughly mixed. Serve right away and store leftovers in airtight container in refrigerator for up to 3 days. Have you made bruschetta before? It’s so easy! Did you try this recipe? Leave me a comment below or tag me on Instagram @meghanlivingstone.